It&apos;s Blue&apos;s Egg. Not Blue&apos;s Egg&apos;s.
7 bars / restaurants to which Milwaukeeans insist on adding an "s"
Published March 23, 2019 at 5:03 p.m.
A version of this article ran in 2014. Here in Brew City, we'll add an "s" to the end of any business name and call it that for the rest of our lives. "Wanna go to Old German Beer Hall's?" "No thanks, I'm already having dinner at Sanford's." In our defense, we do this, most likely, because there are so many local establishments that do end with an apostrophe S that we don't even know we're doing it. However, there are plenty of S-free establishments in this town and here are five more places and products other than Blue's Egg (in photo) that some Milwaukeeans insist on making possessive. I know I've done it. Nope, it's not Cafe Lulu's. And it never will be. It's fascinating how seamlessly some went from saying Alterra's to Colectivo's. When people add an S to The Nomad, I'm not sure if they're saying Nomads or Nomad's. Regardless, it is neither. Von Trier's is tempting to say. But it is wrong. 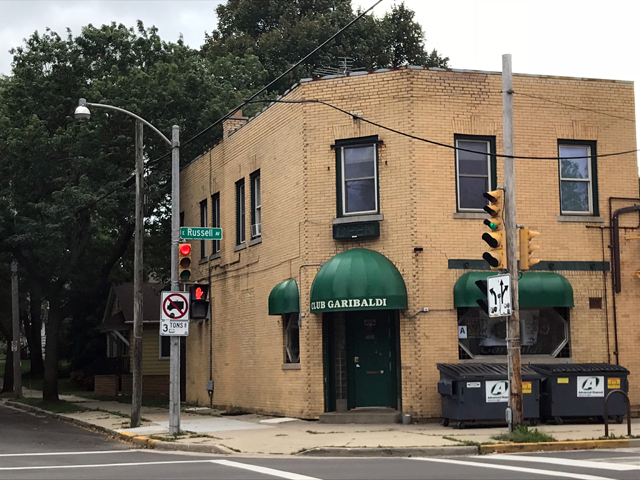 Club Garibaldi. Gar-i-bald-i. Not Gar-i-bal-deeees. Nooooooo. Sprecher, as in the brewing company, is not plural or possessive even though some people insist on it. However, the restaurant chains are called Sprecher's, which just reinforces our urge to call the product Sprecher's, too. We can't win this, Milwaukee. Anyone wanna meet for coffee at Stone Creek's? Sanford's.. yeah that's a big one! "Caf Lulu's" I've never heard anybody say... they either call it Caf Lulu, or they say "Lulu's".. even the staff... even the owners. I have however heard, and this was a much older woman, order a "Miller's" before. Adding the 's' is a hallmark of the great lakes accent. You'll find the same all around the great lakes, often formalized in the spelling i.e. "Kohl's" or "Sprecher's Restaurant & Pub". What's next, are you going to start complaining when people say "I'm going by my friend's house." We do this a lot with church names. St. Sebastian Church has no S. There is only one St. Sebastian, but he does not own the church.